Throughout the preceding 30,000 – 40,000 years our Indigenous people occupied the land. The land around the Mont Park/Bundoora area was occupied by the Wurundjeri-willam people. Early explorers started to sail into Port Philip Bay and explore the surrounding area. The first Europeans (John Batman and his three ‘white’ assistants, and six ‘New South Wales Aborigines’) sailed into Port Phillip Bay enroute to the Yarra River where the signing of the ‘Batman’s Treaty’ allegedly took place (a Treaty that was later that same year ‘voided’ by Governor Bourke). Melbourne’s population is reported to be ‘in the hundreds’ with approx. 100 buildings including slab huts and tents. William Wedge Drake surveys the (now) Darebin area principally to enable the sale of the land. The next few years (into the 1840’s) was quite a ‘land rush’ with a great deal of land buying/selling and ‘profiteering’. Land in the area was sold to Neil Campbell (where Mont Park was to be) and also Horatio Cooper (where Bundoora Park is now). The same local land then sold to Malcolm McLean (a Scottish Settler) and the new Estate was named ‘Strathallan’. Victoria (then known as The Port Phillip District of New South Wales) appropriated 1,000 Pounds from the NSW Council to built a Lunatic Asylum near Melbourne (in Fairfield near where in 1871 the Kew Asylum was also built). The build was completed in 1848 and locally known as the Merri Creek Lunatic Asylum (later the Yarra Bend Lunatic Asylum). Melbourne is declared a City by Queen Victoria. The Plough Inn at Mill Park sponsored the Plough Cup (Thoroughbred Racing) which was held at the Janefield Racecourse around this time. Malcolm McLean returned to Scotland and he leased his land here (‘The Strathallan Estate’) to a number of tenant farmers for grazing and dairy purposes. The area suffered ‘Black Thursday’ fires on the 6/2/1851 when after a very hot 1850-1851 summer a 47 degree Celsius day, saw bushfires break out across the area and the State. The Victorian Gold Rush commences with the discovery of Gold at Buninyong. Victoria formally becomes an independent colony (after having earlier been known as The Port Phillip District of New South Wales). During 1852, an average of more than 1,800 immigrants a week disembarked in Melbourne, in large part to make their way to the Victorian Goldfields. Victoria’s population increased from 76,000 to 540,000 over the next 10 years. The MCG oval and first pavilion were established on its current site. Melbourne’s first water supply was inaugurated on 20/12/1853 with the building of the Yan Yean Reservoir. The main water pipe to Melbourne ran along Plenty Rd and was completed by 1857. The original Flinders Street Station was built (later rebuilt) and the first Steam Engine journey occurs. Melbourne’s first city streets were lit using gas lighting. The Burke & Wills expedition departed Royal Park. The Preston area’s population was reported to be 623 in 1861 (3,563 in 1891 / 5,049 in 1911 / 6,555 in 1921 / 33,442 in 1933 / 46,775 in 1947 / 89,706 in 1966). The running of the first Melbourne Cup thoroughbred horse race. Thomas Edison invented ‘Electric Light’ and the first Telephone Exchange opened in Melbourne. Ned Kelly was hanged in Melbourne Goal. Melbourne first Cable Tram line opened. A Single Track Railway line was opened to Heidelberg Station (eventually completed as a Single Track Line all the way to Hurstbridge in 1912). A Melbourne to Whittlesea Rail line began operation and ran through the North-West corner of Mill Park. Property prices dropped dramatically as ‘the land bust’ occurred after ‘the land boom’. This saw ‘The Depression’ hit Victoria in 1892 and forced most of the then land-owning class into bankruptcy and ruin. The first city streets were lit using Electricity. State Government passed an Electric Light and Power Act to regulate the use of Electricity across Melbourne. Power Stations did not operate on Sundays and street lights went out at midnight. The first season of VFL (Aussie Rules Football) was played. John Matthew Vincent Smith (1857-1922) buys 606 Acres of Land (now Bundoora Park and the home he built i.e. the Bundoora Homestead). Smith was a prominent Horse Racing and Horse Breeding identity. The first Motorised cars were seen in Melbourne but they were a rare sight until after about 1910 when they slowly became more common. In 1916 Road Rules were first applied. And from 1917 to 1922 (after WWI) registrations of vehicles in Melbourne doubled to 44,000 (cars, motorcycles and trucks). Australia became a Commonwealth and Melbourne was named as the nation’s Capital City. The railway line was extended from Heidelberg to Eltham with the stations of Greensborough and Eltham added/opened. Dr William Ernest Jones takes over from Dr McCreery as the new ‘Inspector General of the Insane’ (heading up the ‘Victorian Lunacy Department’). The first Electric Tram Service began operation. Dr Ernest Jones and the then Victorian Premier Mr Thomas Bent ascended to the top of Sugarloaf Hill (now Gresswell Hill) and selected Strathallan/Bundoora Park/Mont Park (now Macleod) as the site for the new Mont Park Hospital for the Insane (Mental Asylum). The area was formally acquired by the State Government to become the Mont Park Hospital for the Insane, but not before there was some significant consideration given to the area instead being the site of a new Prison, an idea that was later successfully objected to by many locals. The Victorian Inspector General for the Insane, Dr Ernest Jones, began building the Mont Park Hospital for the Insane starting with the Farm Workers’ Block that still exists to this day on Main Drive. Macleod Station opens after 75 acres of land was acquired from Malcolm Macleod. This purchase enabled the Mont Park rail line to be built which ran up into the Hospital grounds to the Mont Park Rail Platform & and Siding. 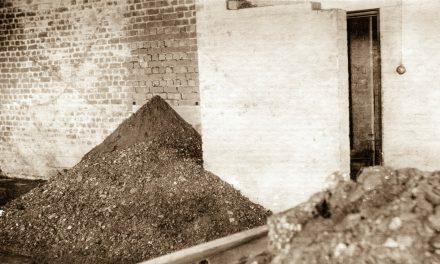 This spur line was primarily intended to carry goods such as briquettes and building materials. The Mont Park Hospital for the Insane was formally opened, and the first 60 patients were transferred across from the Yarra Bend Asylum. The Railway line was extended from Eltham to Hurst’s Bridge (soon after renamed Hurstbridge) with the stations of Diamond Creek and Wattle Glen added/opened. Renowned Landscape Gardener Hugh Linaker was appointed as the Landscape Gardener at Mont Park Hospital for the Insane (until 1937). 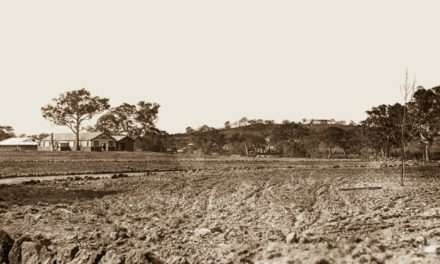 Construction was completed of the Water Tank (designed by Sir John Monash) on Mt Sugarloaf (now Gresswell Hill) that supplied water to the Hospital and was connected to the Water Main at Morang South. Anzac’s landed at Gallipoli during World War I (25/4/15). The introduction of the 6pm closing for all Hotels/Pubs (abolished in 1966). 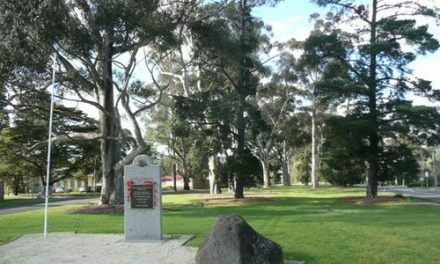 The ‘Avenue of Honour’ was planted by Mont Park soldiers/patients (supervised by Hugh Linaker) along Military Rd (now Cherry St). There were 46 Sugar Gum (Eucalyptus) trees planted there at this time. More planting occurred after World War II in 1946. Electric suburban train services commenced (on the Broadmeadows line). The Victoria Police Department established a Horse Stud at Bundoora Park which became known as the ‘Police Paddock’. Macleod Park was developed (now essentially Macleod Village). Malcolm Macleod was a Councillor at the City of Heidelberg at this time. Melbourne’s first Radio station broadcasts (3AR – now known as Radio National). The Smith Family’s Bundoora Homestead (see 1899) became the Bundoora Repatriation Hospital and opened with 17 Staff. Administration was carried out by Mont Park staff as it assisted and rehabilitated returning WWI soldiers. John Logie Baird invents ‘Television’. The Ernest Jones Hall (designed by Architect Evan Smith) was built and was both a Chapel and a Recreational Facility. This Hall is still there today and featured briefly in the hit US Mini-Series ‘The Pacific’. The Mont Park Railway Line is ‘Electrified’. The State Government Health Department paid for the ‘Electrification’ of the line to be carried out. The first set of Traffic Lights are operated on the corner of Swanston and Flinders St’s. The Great (World) Depression starts with the Wall St Market Crash. The final group of soldiers/patients were transferred from the Mont Park Military Mental Block to the Bundoora Repatriation Hospital. The opening of the Sydney Harbour Bridge. Mont Park became known as a ‘Mental Hospital’ rather than a ‘Hospital for the Insane’. The construction of Larundel commences (designed by Public Works Architect Percy Edgar Everell). The culmination of this construction wasn’t to conclude for another 15 years owing to one reason and another, including the intervening WWII. Renowned Mont Park Landscape Gardener, Hugh Linaker dies. Such was the labour shortage across Victoria owing to men going offshore to fight in WWII, the Australian Women’s Land Army was established. Dr John F Cade returned from WWII and established (after much trial and error on both guinea pigs and later himself at Bundoora Repatriation Hospital) the use of Lithium as a medication to treat Manic Depression/Bipolar Disease. The ‘Railway (Mont Park Siding) Act’ of 1946 was enacted to enable passengers to travel on the route (however this opportunity was never formally utilised). At this time a Dual Track Rail Line made its way from the City to Ivanhoe Station only, and around this time the train to Mont Park was running about once per week. Pamela Murphy in ‘Back in them Days’ describes Plenty Road as a narrow street without many lights, no houses, open paddocks for miles, and the roads weren’t properly made. Beautiful big old Gum Trees everywhere and bluestone rock fences. The horses were in the Police Paddock and the Mont Park farm had black and white Friesian cows. English Psychiatrist Dr E Cunningham Dax was appointed as Chairman of the newly created Mental Hygiene Authority (Victoria). Larundel Mental Hospital (on Plenty Rd) finally opened. The Mont Park ‘Farm Workers Block’ became part of Larundel due to its proximity to Larundel. After some criticism about the lack of hygiene to do with the milking process in the Dairy in Mont Park (located on the corner of Plenty Rd and Kingsbury Drive), milking machines were installed. First Stage of the Snowy River Mountain Scheme finished. The introduction of drugs such as Ataractic tranquillisers around this time changed the conditions in the Wards at Mont Park and Larundel due to this new ‘behaviour modification’ approach. Television starts in Melbourne (HSV7). Melbourne (The MCG) hosts the 1956 Olympic Games. The initial Meeting at the Staff Social Centre Mental Hospital (Mont Park) re the development of the Strathallan Golf Club as an entity and as a member-based Golf Course and Club. Dr William Ernest Jones dies. It is reported that his ashes were spread in front of Ernest Jones Hall on what is now known as Ernest Jones Drive in the Springthorpe Housing Estate (Macleod). Saw the changing of mental health treatment methods for Mont Park patients including less ‘Farm Work’ as part of their rehabilitation. This year also saw complaints from local residents re unpleasant odours, that led to the closure of the Piggery operation on the Farm. Only Plenty Rd and Grimshaw St were made roads in the broader Mont Park/Bundoora area, roads so narrow that barely two cars could pass. There were no footpaths and Settlement Rd was still ‘un-made’ with a single lane wooden bridge where Settlement Rd crossed Darebin Creek. Australia became involved in the Vietnam War. The Mont Park Railway line operation ceased as the last train ran up the hill for the final time on the 23/6/64 and the Line officially closed on the 30/6/1964. 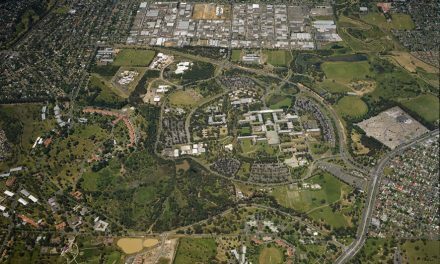 Saw the selection of the broader Mont Park Farm area as the site for the new La Trobe University. To this end Mont Park farmland was given over by Cunningham Dax (Head of the Mental Health Authority) in exchange for land further north along Plenty Rd. 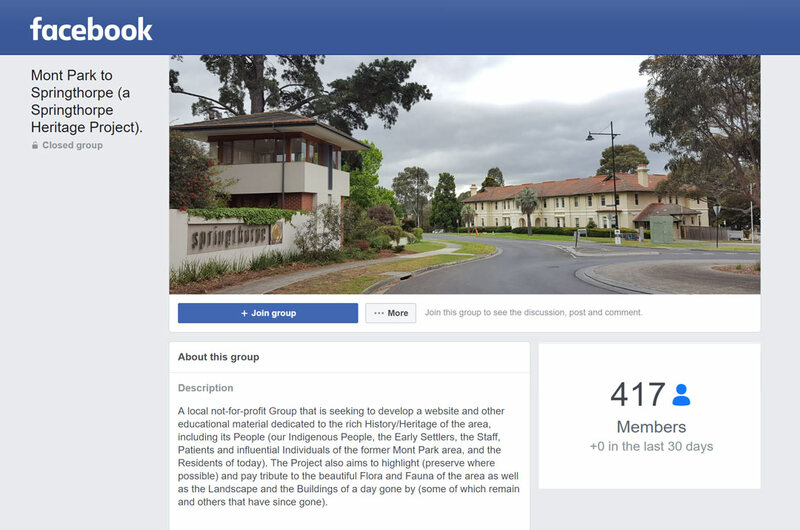 Social Action by the local community successfully stopped Bayview Quarries Pty Ltd from quarrying 76 hectares of land positioned between Plenty Rd and where the Bundoora Primary School now sits. Australia converted to Decimal Currency. La Trobe University officially opened. 550 students were enrolled in this first year. Fourten years later (1981) there were 8,500 students and 2,000 Lecturers, Tutors, Staff and Admin attending the University. Ms Muriel Yarrington (Nursing Advisor, Mental Hygiene Branch) died after a battle with cancer. Ms Yarrington was held in high regard for her vision and tireless work in promoting Psychiatric Nursing as a highly respectable profession, and developed that profession’s educational pathway into the University curriculum. Nature Reserve Wildlife Staff persuaded operators that were part of a local Earth Moving Equipment Exhibition to excavate areas around Mont Park, near where the La Trobe University Wildlife Reserve currently is). Visiting Nursing Services were established by Mont Park (and other locations) as part of the then broader approach to ‘integrate and normalise’ patient environments and experiences, as part of their mental health care. The Bundoora Park Golf Course opened. Colour Television transmission commenced in Melbourne. The remaining Mont Park rail tracks were lifted and used elsewhere on the network, reportedly including for the use by ‘Puffing Billy’ (Note: Some remnants of the Mont Park line including stanchions/electric poles and the track path and bluestone rocks remain in the area at Cherry Street Reserve to this day). Completion of the Westgate Bridge. Melbourne’s subway system (The City Rail Loop) opened. The Melbourne Dust Storm and Ash Wednesday Fires. 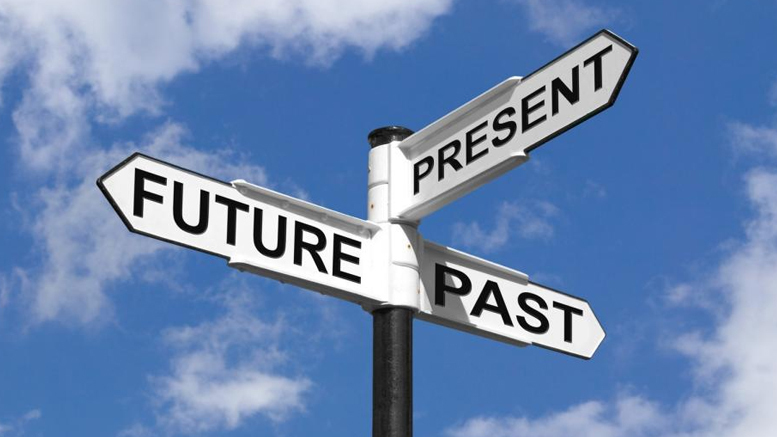 ‘Decommissioning’ was the euphemism used for the beginning of the closure of mental hospitals in the late 1980s. And ‘Deinstitutionalisation’ was the term used to explain the shift in policy that saw (where possible) patients with psychiatric illnesses treated as out-patients living in the community rather than as in-patients residing in Hospitals. Melbourne experienced a severe economic slump. Interest Rates rose considerably (to around 18%). Property markets crashed, and many people found themselves unable to pay back housing loans and as such lost their homes to the Banks. Much of the Mont Park and Larundel Hospital surrounds was progressively closed down and the structures began to be demolished as the State Government’s Land Authority initiated plans to have the broader Mont Park-Larundel area sold off and redeveloped as Housing and Open Space and Forest Reserves. The Springthorpe Housing Estate Development began the sale of the first Lots of land. 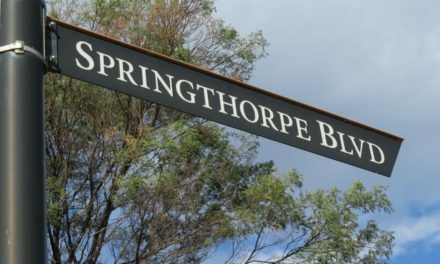 The Springthorpe Estate Development wins multiple National Excellence Awards for Residential Development by the Urban Development Institute of Australia (UDIA). Such had been the extent of the construction of residential homes within the Springthorpe Housing Estate over the previous six or seven years that very few vacant blocks remained as the former Mont Park Hospital site was essentially transformed into a Housing Estate. Numerous former Mont Park buildings that were ‘Heritage Protected’ as well as countless wonderful large Red Gum trees remain and (thankfully) are integrated into the new landscape. PreviousTHE MONT PARK PLATFORM AND RAIL LINE.